Here's the second of three official PPC scenarios for use with the PPC Comp and its army lists. Consider this scenario a draft, and please comment on anything you feel need to change on the dakkadakka thread here. 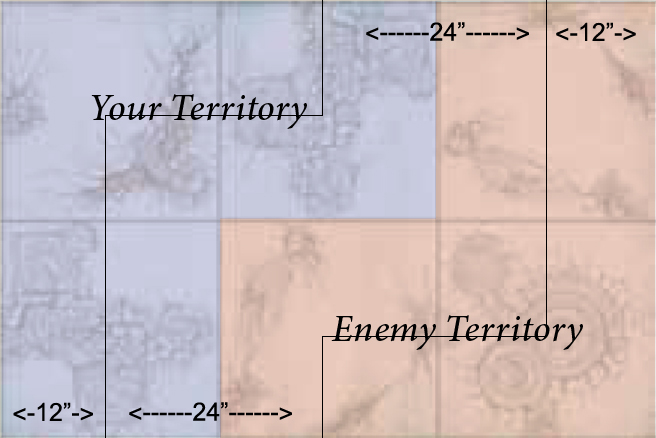 Each player deploys up to 12” from the long table edge. 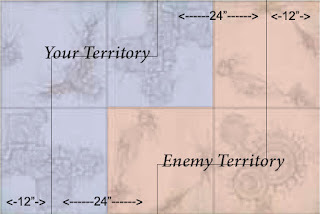 Each player deploys up to 24” from the short table edge. 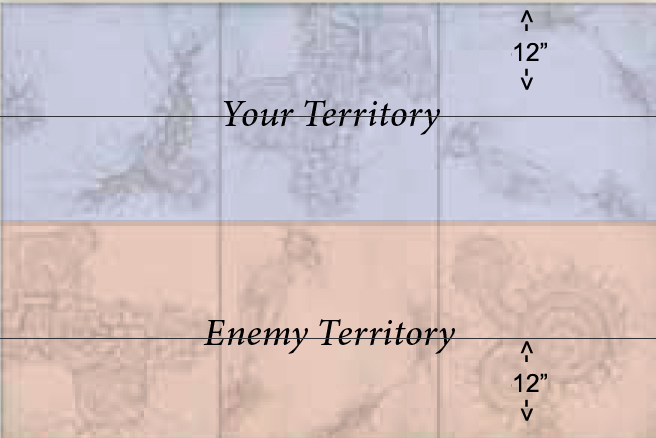 Each player deploys up to 12” from the short table edge, and up to 12” into half the long. if the dice shows a result of 1-3, the battle ends. Count any victory points as described in Victory Conditions. 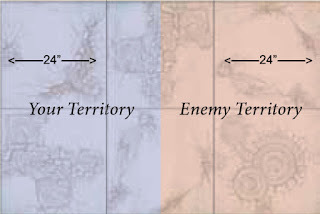 On a roll of 4-6, there is a final 7th turn, after which victory points is calculated as described in the scenario played. Any unit of up to 200 pts is worth 2 victory points when destroyed, or 1 victory point if more than 50% wounds have been removed. 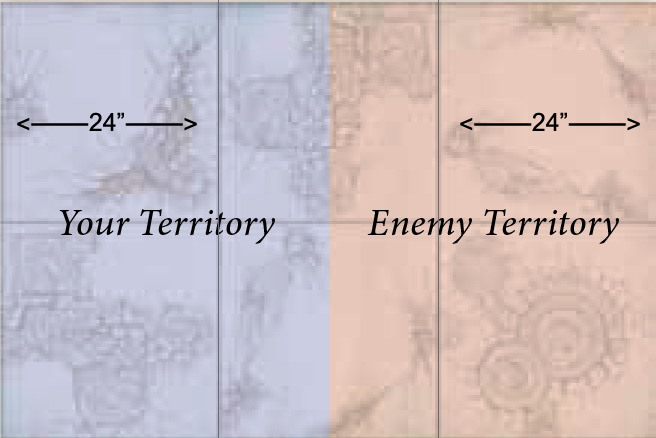 Any unit of more than 200 pts, but less than 400 pts is worth 3 victory points when destroyed, or 1 VP if more than 50% wounds have been removed. Any unit of more than 400 pts is worth 4 victory points if destroyed, or 2 VPs if more than 50% wounds have been removed. Slay the General: If you have slain the enemy general, you gain another +2 victory points. 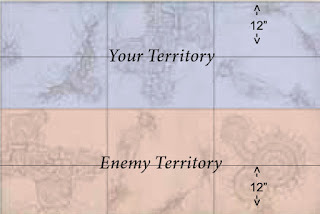 Linebreaker: If you have a unit completely within 6” of the enemy battlefield edge, you gain another +2 victory points. This is the long edge for the Battleline setup, and the short edge of the other two setups. If you score both Slay the General and Linebreaker, you gain 1 Tie Breaker Point. After a tournament, if two or more players score the same total victory points, the player with the most Tie Breaker Points wins.